What Trait is Shared by the American Corporate Elite and the Common Goldfish? Goldfish are spectacularly stupid animals and will literally eat themselves to death if given enough food—if you keep feeding them, they will not stop eating until their stomach ruptures and they die. Additionally, goldfish consume so much food that any fish not to feed at the top of the tank with the goldfish will be starved unless measures are taken to prevent goldfish from eating all of the food. Unfortunately, large portions of the American economic elite have failed to learn the lesson of the overfed goldfish and have created an economic system which greatly resembles the feeding habits of the gluttonous fish. Their short-term goal of capturing all the wealth that they can, in as little time as possible, has economically devastated the rest of the American population and will, one day, lead to the collapse of our economy and the absolute ruin of their own companies. The economic elite have demanded that their political proxies (the GOP and corporate Democrats) implement “trickle-down economics” and austerity to increase their wealth, while weakening worker protections and mandatory compensation laws. These policies maximize the amount of money that the elite can harvest from their investments, while minimizing the amount of money that they have to share with their workers and society as a whole. They are, in effect, the economic equivalent of the greedy goldfish that eat all of the food and leave nothing for the other fish in the tank. The American economy is based around consumption, thus a lack of money in the hands of the majority of the American people creates a demand-side economic crisis. When people don’t have enough money to buy goods, companies cannot sell their products (ex. it doesn’t matter how amazing the guitar you sell is if nobody has the money to buy it or time to play it), and jobs disappear. As jobs disappear from a lack of demand, the buying power of the American people further decreases and demand shrinks even more. 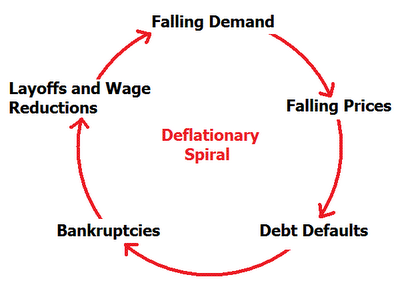 Eventually, this negative spiral will result in a depression unless demand is not massively stimulated (ex. through a government stimulus). A demand-side economic crisis is not just harmful to workers, but is also destructive to businesses. Without the public demanding goods, businesses start to shrivel up and die. The very people who initiated the policies that traded short-term personal gains for long-term damage to the buying power of the American people will find their businesses suffering—like the gorging goldfish, the short term greed of these individuals will have doomed their long-term wellbeing. Hopefully, before this situation comes to pass, the economic elite realize the crisis that they are steering us into and stop fighting reform. 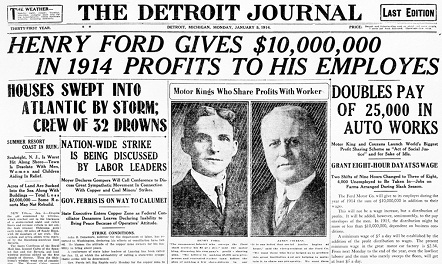 In the past, economic elite like Henry Ford have understood that their businesses are predicated upon workers having enough money to buy their goods, thus leading them to support increased wages. They realize that increasing wages to the average worker bolsters demand across almost every market and allows businesses to have long-term growth. 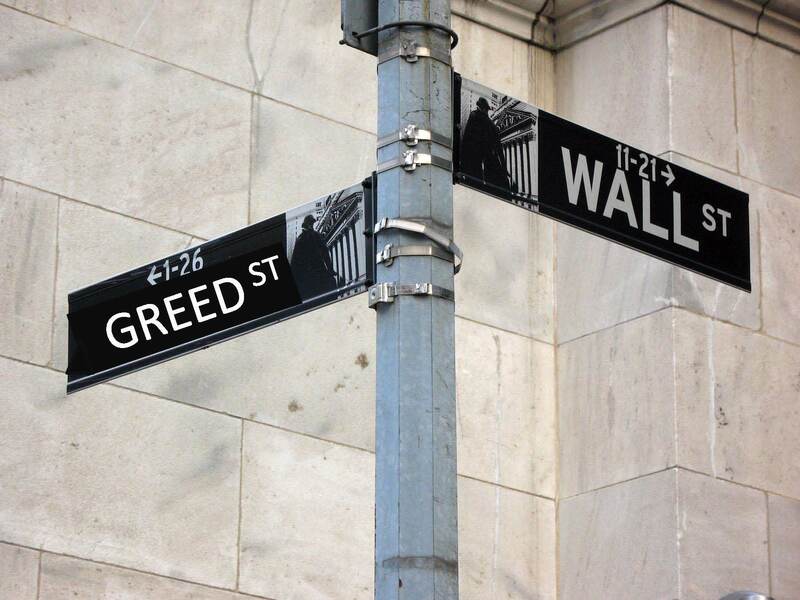 Unfortunately, many American economic elite are too blinded by their massive short-term profits to see the problem or are betting that they can survive the coming crash and are just trying to reap as much wealth as possible before it happens. This tunnel vision or callousness prevents action from occurring on a large scale in corporate America, and causes only a relative few corporations to pay their employees a livable wage (Ex. CostCo and Ben and Jerry’s both pay a living wage, averaging $21/hour and $16/hour respectively). In order to prevent the corporate elite from doing the economic equivalent to the goldfish gorging itself to death while starving the rest of the fish in the tank, the government must step in and save all of us from their greed. Corporations must be forced to pay a living wage, taxes must be increased to redistribute wealth down the economic ladder, and we must stop cutting programs that allow those without wealth to move up in society. If we can do all of these things, it will not only benefit the vast majority of the American workers, but also the economic elite—their businesses will be more healthy in the long run because their profits will be bolstered by an influx of new customers and they will have access to American employees who are even more competitive in the global race for innovation.